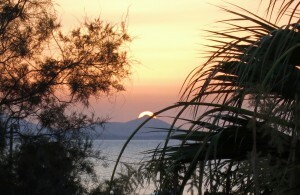 Sunset is a great time for a cocktail at the bar on the beautiful island of Naxos. 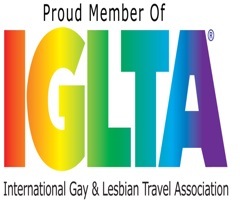 Looking for gay bars in Naxos? Then really there is a very limited choice. 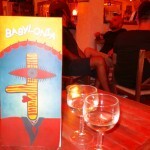 The only gay bar we found in the town was called Babylonia. The bar is upstairs, with a balcony facing the port and the entrance is from the side of the small square just up from the bus station. 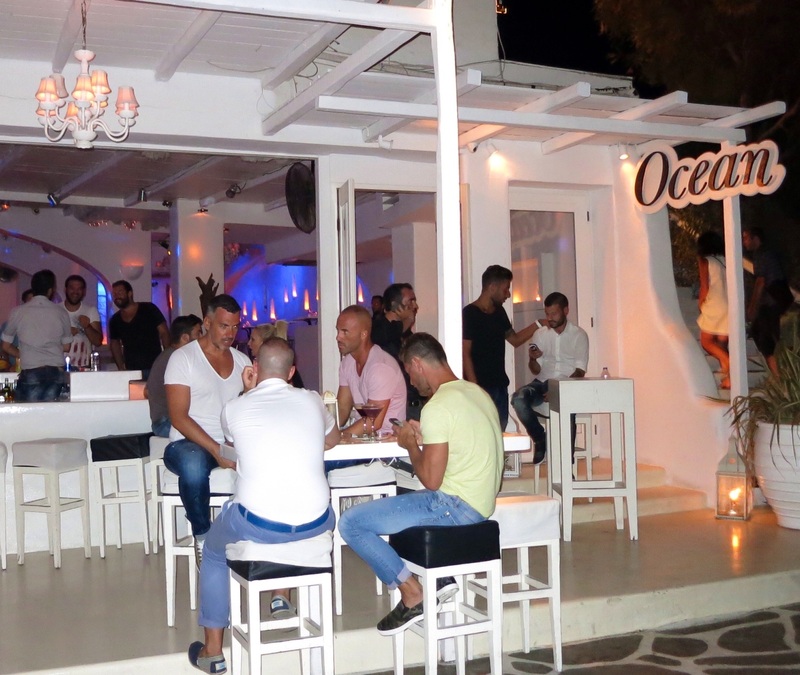 The bar attracts a mixed gay crowd who enjoy drinking on the open balcony overlooking the Aegean, passers-by on the street below and the stunning lights of Naxos and surrounding islands. 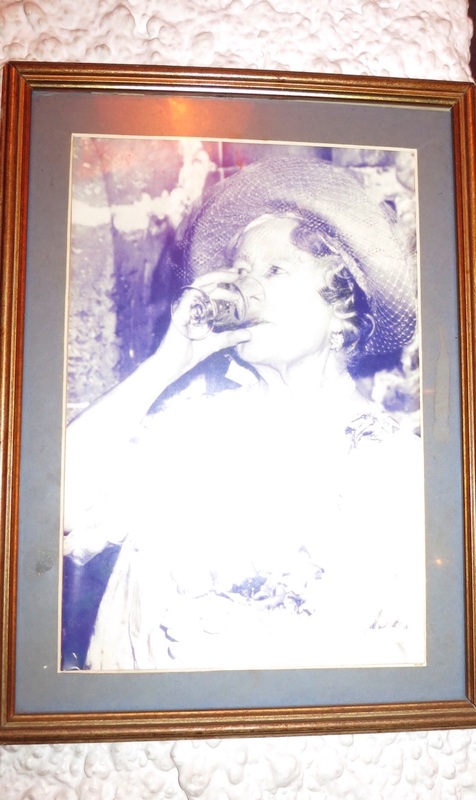 He has memorabilia throughout the bar, including a photograph of the Queen Mother throwing back a drink. Dimitri laughingly says that he likes a ‘tipple’, just like the Queen Mother did. 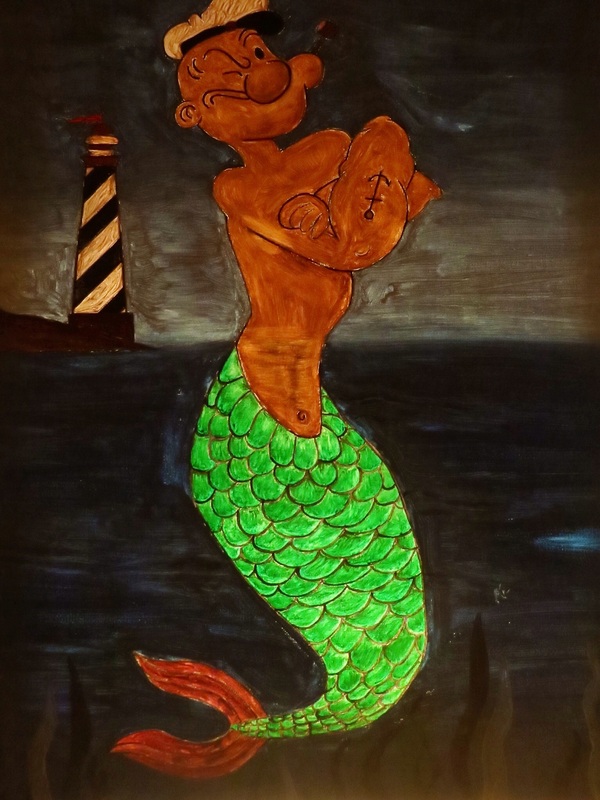 He keeps the place dimly lit and it is decorated with a few mirrors and prints of quirky, island-style paintings to add a certain seaside aesthetic and atmosphere. 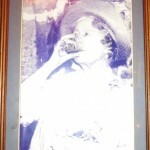 The Queen Mum liked a tipple just like Dimitri. Have a drink over looking the port. From the balcony of Babylonia you can watch what is happening in the main street below. 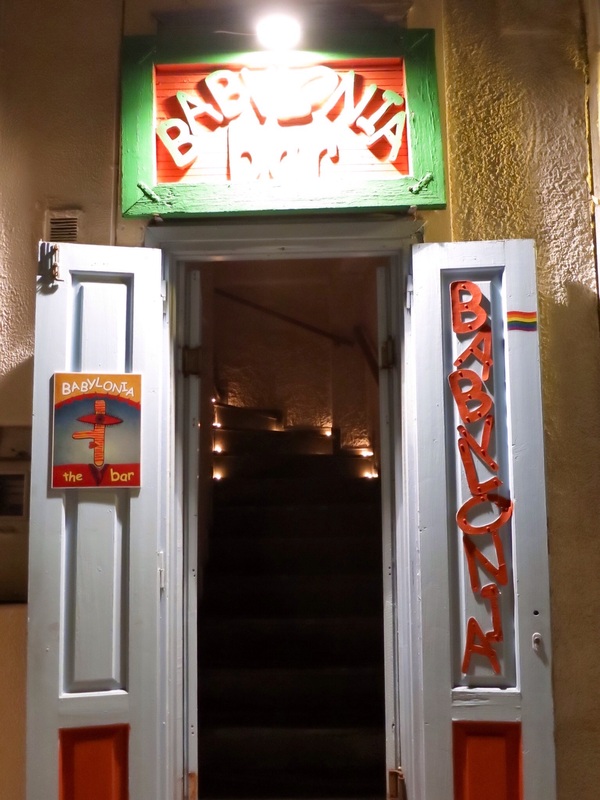 Babylonia, the only gay bar in the village. When we visited this bar we noticed that some people liked to bring their dogs with them. Smoking of course is part of the bar culture here, even Dimitri has a good drag on his cigarette while pouring the drinks. 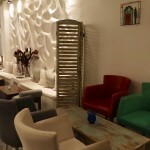 It is certainly a rule-free, casual place which reflects the carefree nature of the Greek Islands. 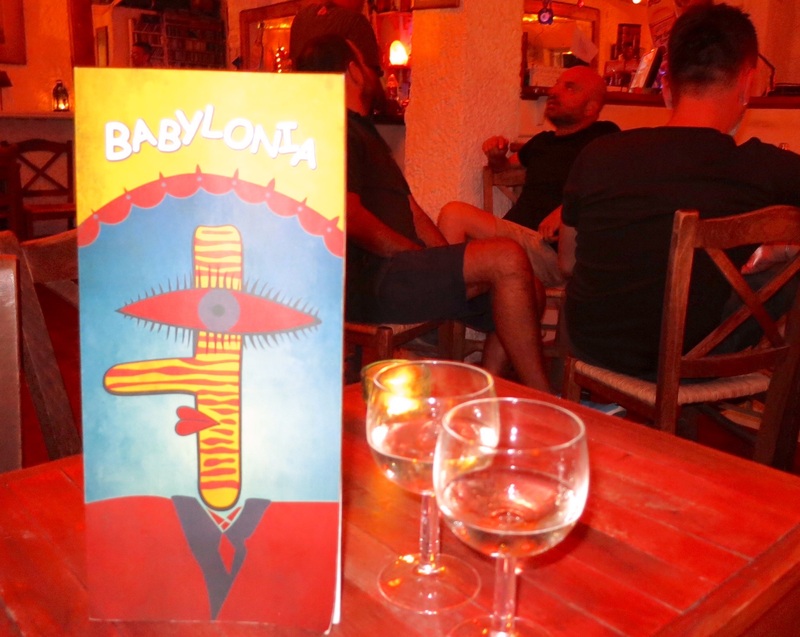 We were happy and comfortable at Babylonia and if you want to be with other gay people then this is the best place in town. 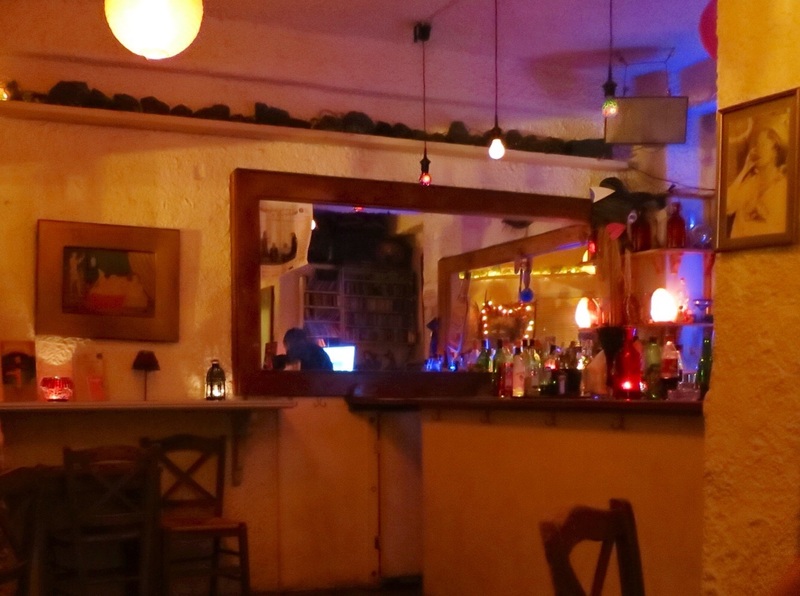 We also found some other bars in town that are worth a visit, especially if you’re wanting a little more excitement. 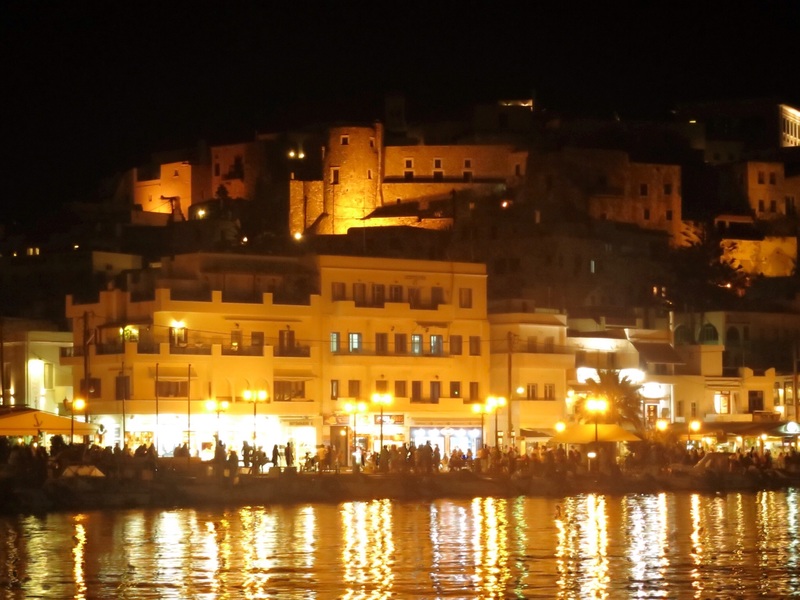 520, also overlooking Chora Old Port is a great choice and we went there a few times for pre-dinner drinks. 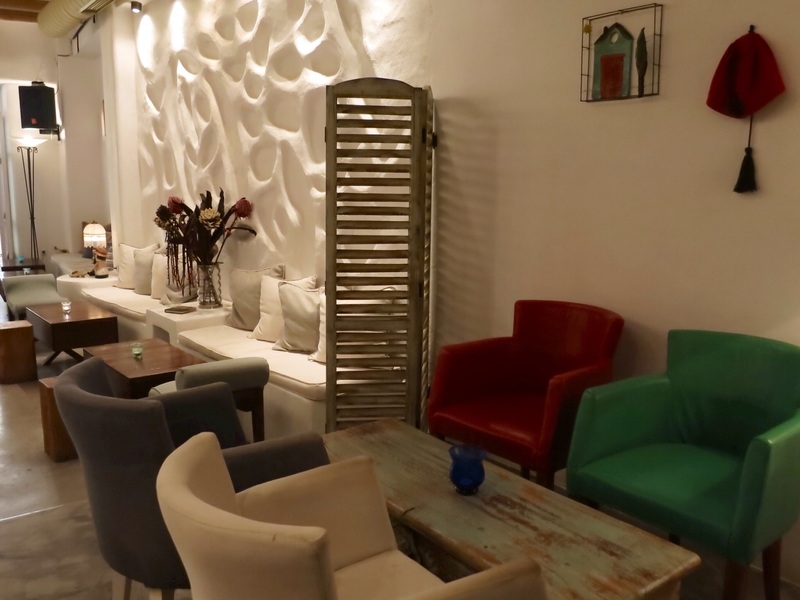 The bar’s smart decor, innovative lighting and fabulous views of Naxos make it a very relaxing place. 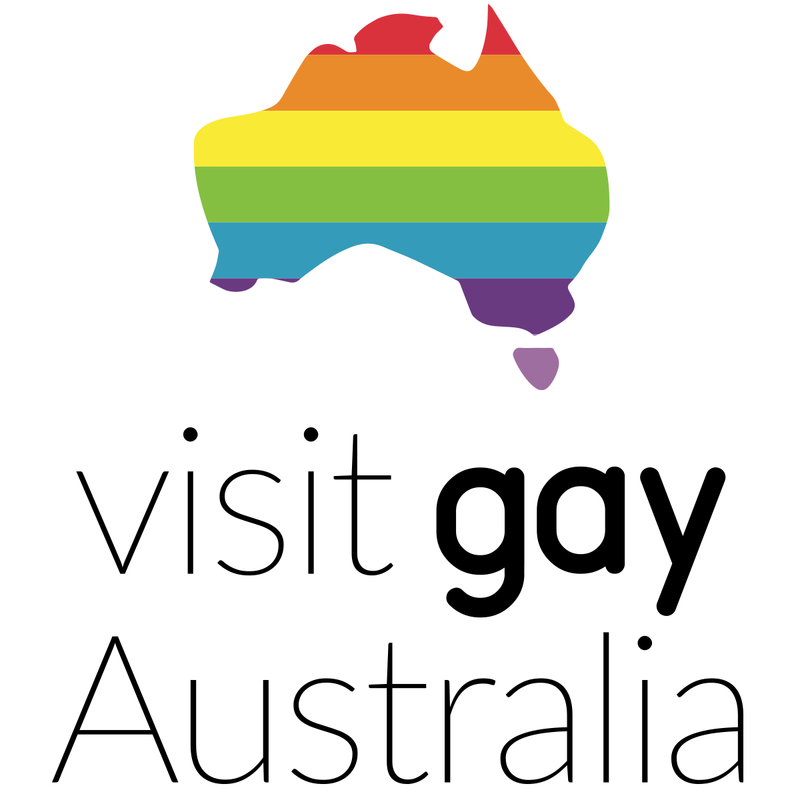 It is certainly not gay but has a trendy, young crowd. 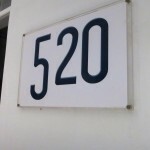 520 was our favourite place for a pre-dinner drink. 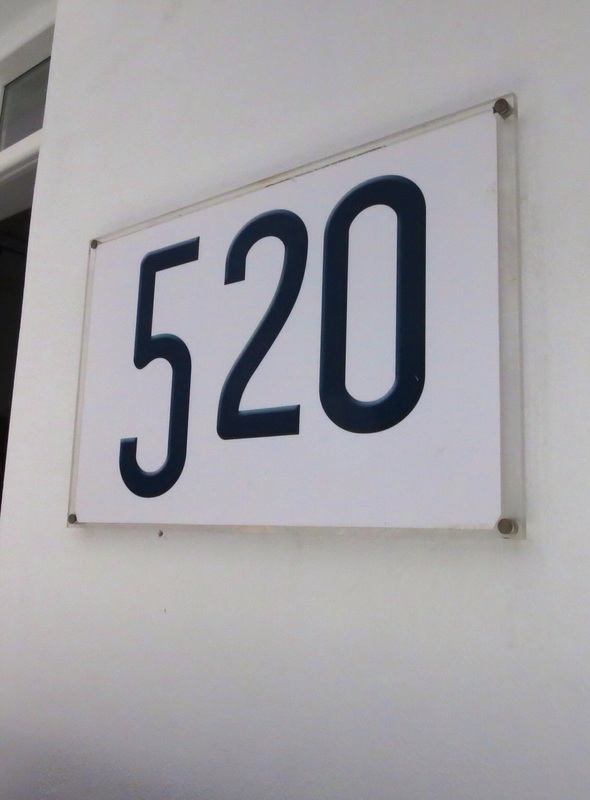 520 has very chic decor. Whether you choose to sit inside or outside all areas of 520 are comfortable and relaxed. 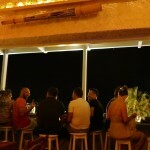 Next door, ‘Peoples Bar’ is highly popular and can get crowded late in the evening. 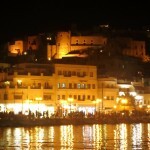 The bar has good views of the harbour and attracts singles and the younger island players. 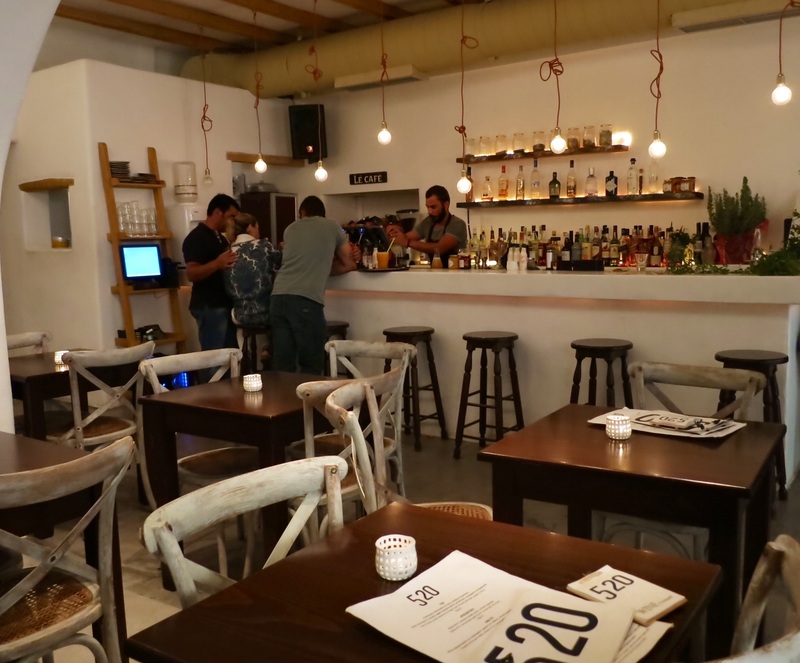 This bar area can get so busy the small lane behind becomes completely blocked with people wandering, chatting and drinking. 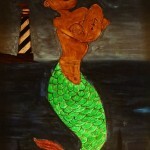 Ocean, further south of the port area, certainly has the wow factor. Decorated all in white, it is the coolest bar on the island. The bar fronts the Aegean on the far left hand side of the port. It might be good for sunset drinks but we saw no one there until it starts to get busy, around11:30pm. The main drinking area is outside on high bar stools and tables. 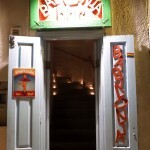 The place is essentially a bar/night club that goes until very late/early, right up until sunrise and if you really want to party,this is the place to be in Naxos. 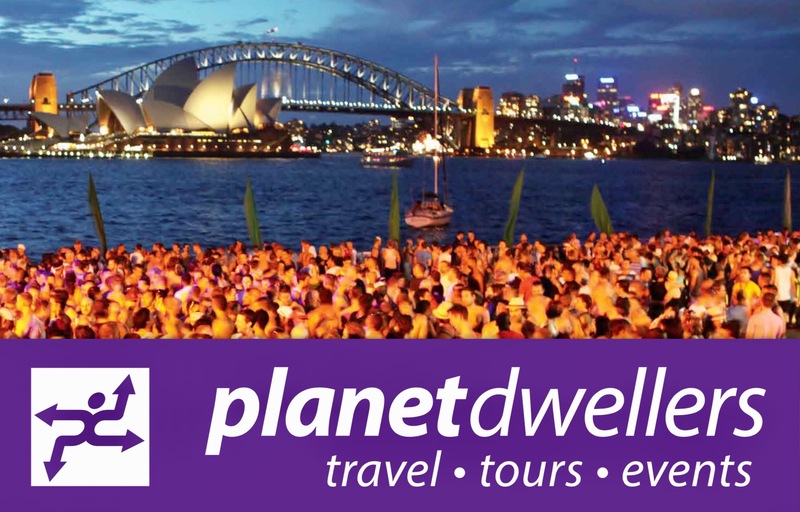 The DJ’s are said to be the best on the island. 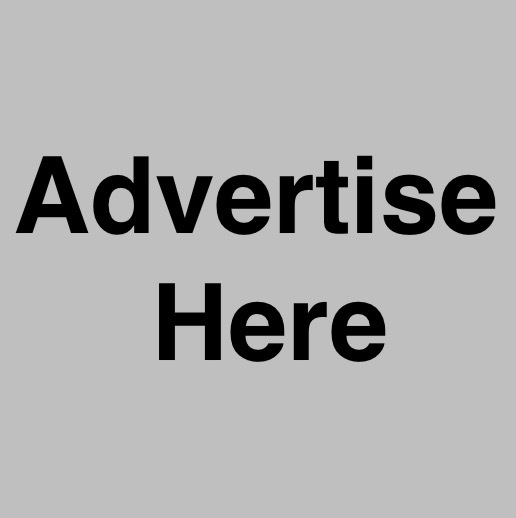 Drink prices are reasonable. The crowd is mixed and we felt very comfortable here, as did other groups of gay men who, like us, had also settled in for an evening of cool rhythms and delicious cocktails. 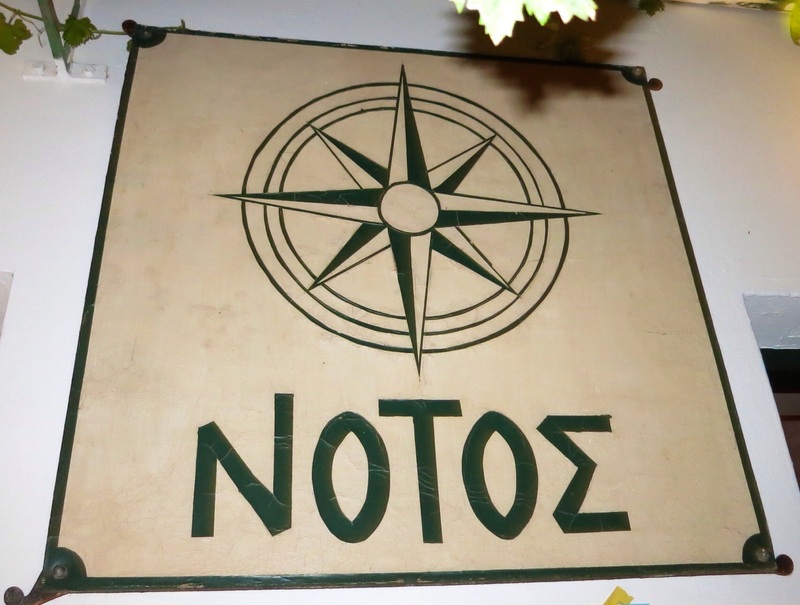 Notoz is a great place to begin or end your evening. It gets busy late. 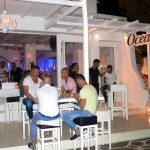 Others had also decided to finish their night at Ocean Bar and Nightclub. The lights of the port area at night are stunning. 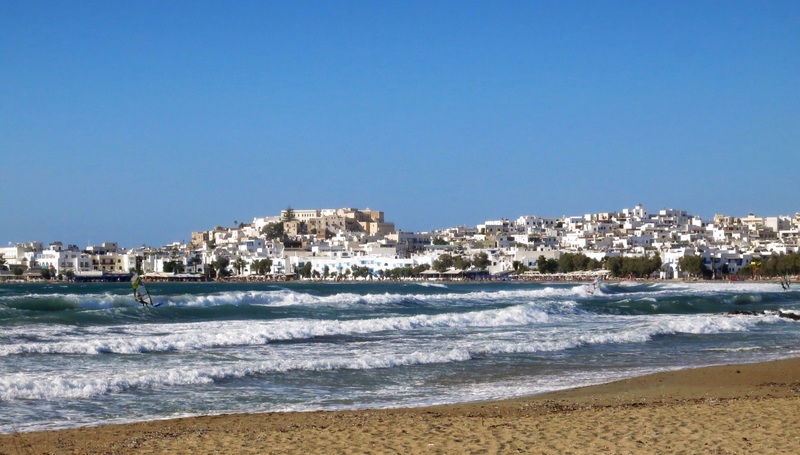 A beautiful view is not hard to find in Naxos.  On our last night on the island we found a sensational little bar which was a great find but a little late for us to enjoy more than once. 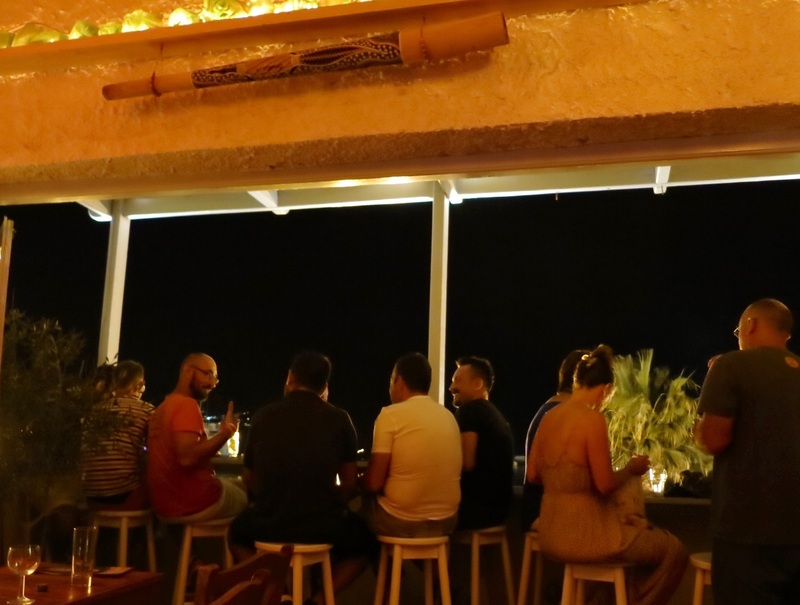 It is called Notoz and it is a deceivingly large bar made up of about 4 different spaces, including a rooftop terrace and an outdoor garden. 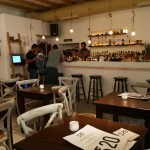 Our waiter here was Orpheus and, because the bar wasn’t busy when we arrived for our predinner drink, he chatted with us about the island, the summer season in Naxos and Greek culture in general. 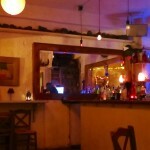 A delightful young man and his attentive, hospitable service made this bar one of the best finds during our visit. 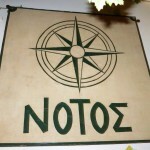 Finding a great place to have a drink in Naxos is easy. Dragging yourself away from the mesmerising view and constant activity of the port is the hard part. Cheers!